This 3” x 10” rectangular band-aid sticker is made of Zip Strip® vinyl, has a removable adhesive that insures clean and easy removal. Perfect for indoor or outdoor use. This bandaid was the very solution we neded! Excellent product and we will buy many more. Biscuit, our biggest dog, has scratches the paint with her claws. Iâ€™m not repainting the door until she passes. So your sticker is charming and useful. The bandage was applied easily enough and has held up to inclement weather so far. During the application it did get some tiny bubbles which I was unable to push out. A few pokes with a pin fixed that. 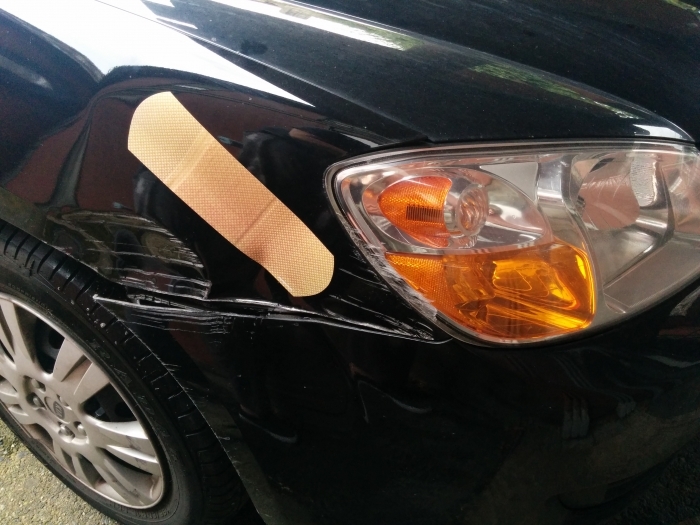 Best UsesI put the bandage on a medium sized dent on my car. The damage is larger than the bandage, but it seems like that adds to the ridiculousness and humor of its use. This is a cute way to cover dings on my car. I have had many people ask where to get them and make other comments about how creative. Love this product! 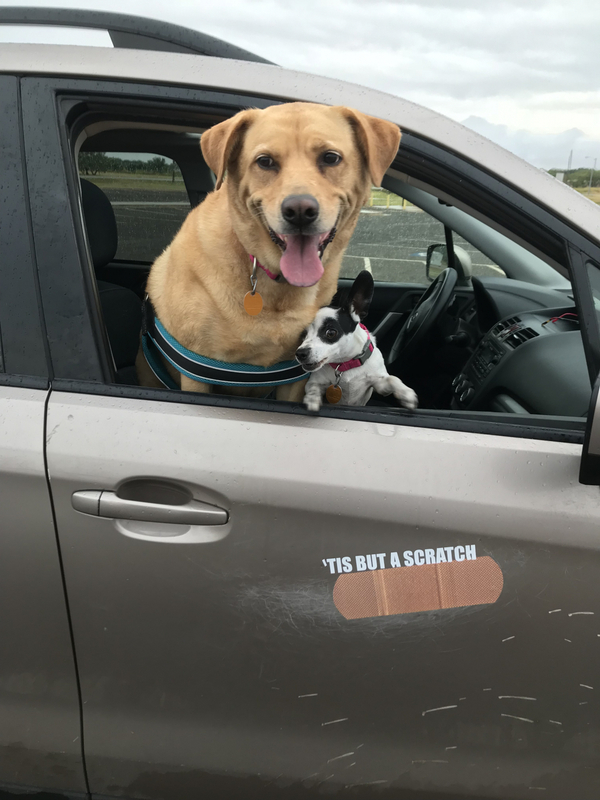 Had a fix for a scrape on car. looks great on my dent!